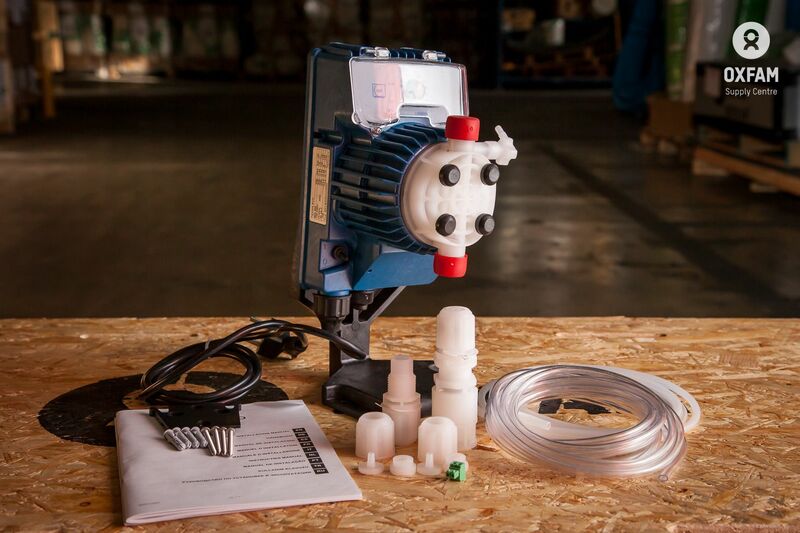 Pump kit that can be used to add chlorine to a piped and pressurised flow at a constant rate. 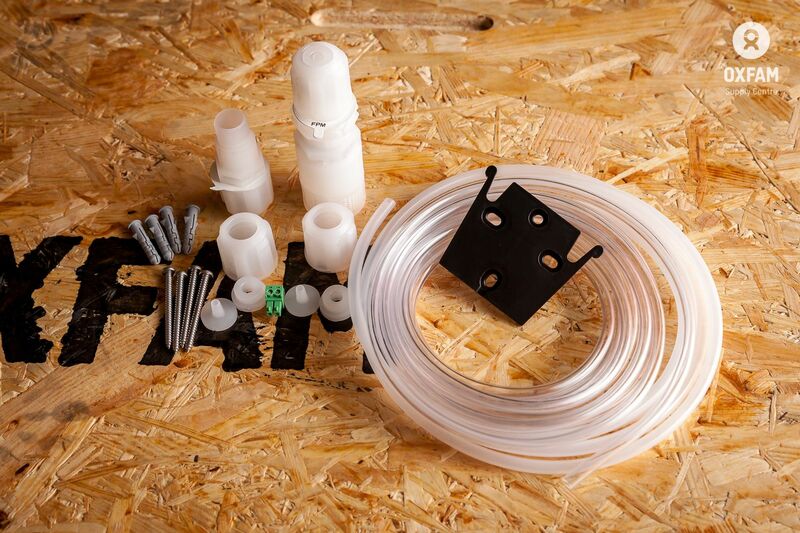 This kit is suitable for installing at a borehole head or at any point in a delivery pipe where constant rate of flow occurs. It should be situated near the output of a pump or near the inlet to a tank to enable mixing to occur and to give sufficient contact time for disinfection. 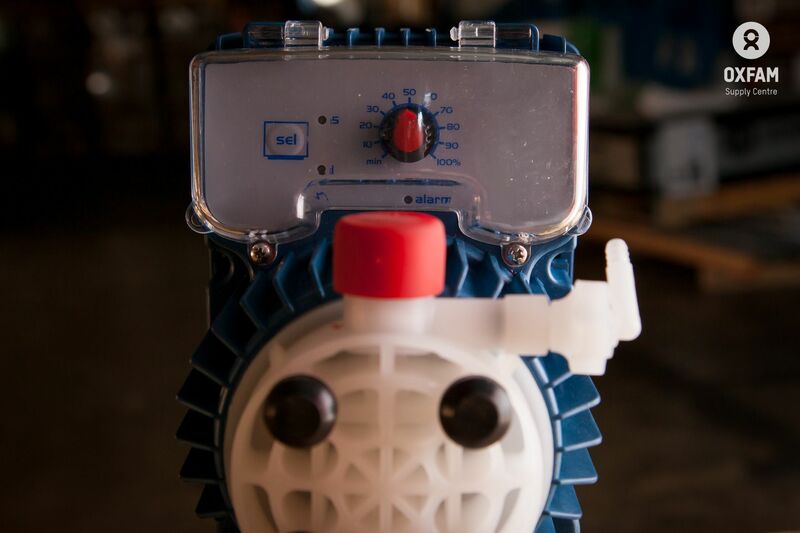 Dosing can be controlled by adjusting the flow rate of the pump and by the concentration of the dosing fluid.